Get up close and personal with the GRIZZLIES! Leave the stresses and strains of modern life behind and board a seaplane at Port Hardy for your floating wilderness. The BBC used this lodge as their base while filming “Secrets of our Living Planet” and the setting is as raw, untainted and as breathtakingly beautiful as it gets. Have your cameras at the ready as you fly over the coast and Queen Charlotte Strait, home to Orca, Gray and Humpback whales. The lodge itself is located near the mouth of a salmon river in the heart of the Great Bear Rainforest, an area of over 8 million acres and twice the size of Africa’s Serengeti. The various seasons see different activities. 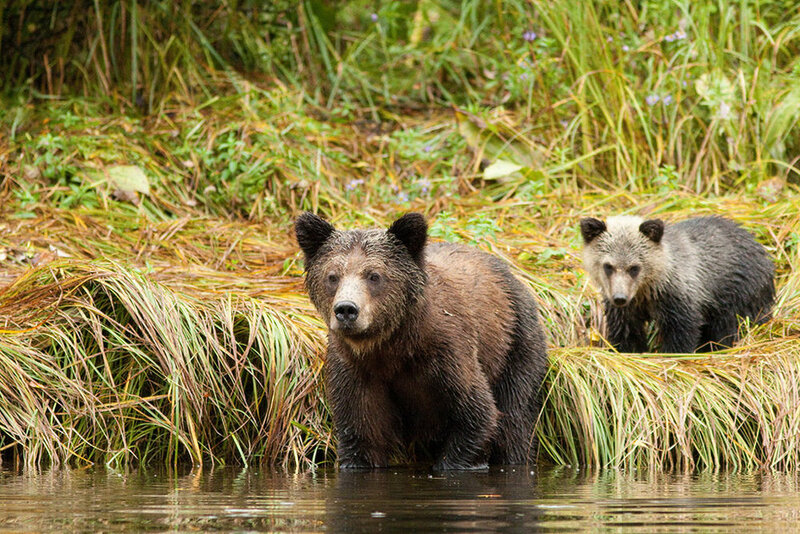 Springtime is breeding season for the bears, when the large males show an active interest in the females and you will watch them in safety from nearby boats. Summer is a good time to watch their grazing behaviour as they move from place to place delight in nature’s bounty. 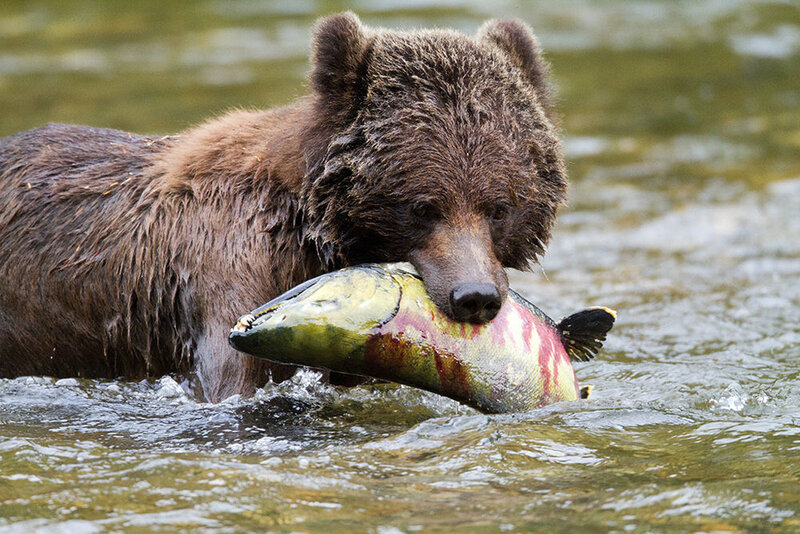 Autumn is one of the most exciting times with tens of thousands of salmon returning mid-August and the bears gorging on the fish as they prepare for their hibernation. The salmon run continues through September and October. The lodge has eight rooms and can be booked individually or for exclusive use. Comfortable beds and wilderness gourmet cuisine await you every evening and in keeping with its location, the lodge is committed to low impact tourism. Whatever time of year you will learn more about bears and nature than you though possible.